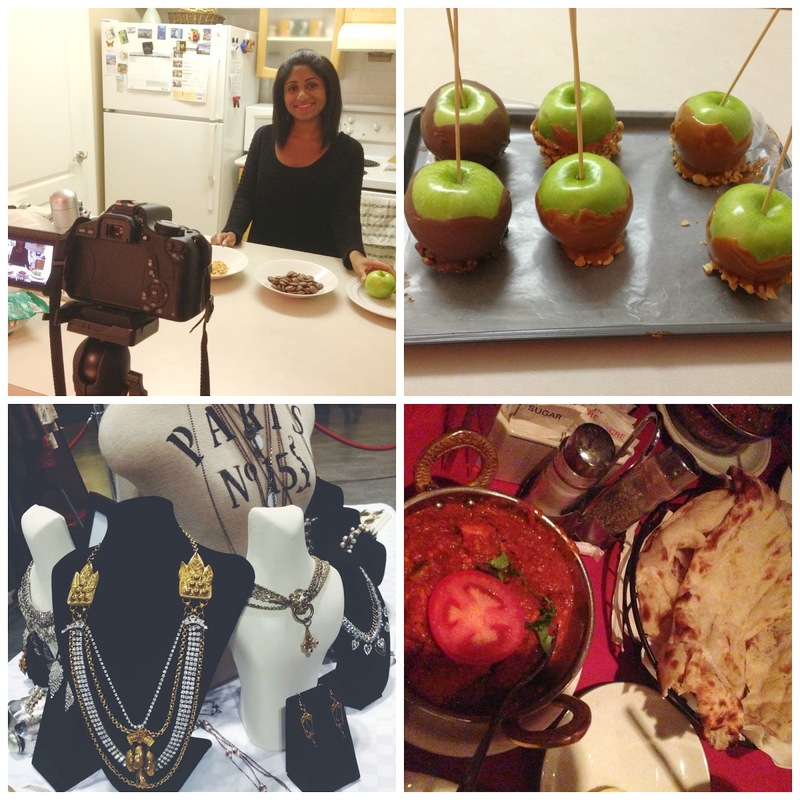 Twenties And Fabulous by Kristen Berk: Highlights Of My Week: Shopping, YouTube & Food! Highlights Of My Week: Shopping, YouTube & Food! Every week is always different from the previous week. Some weeks are busier than others, but there are always highlights in my week that I enjoy sharing with you all. This week I ventured onto YouTube to provide a homemade recipe to create caramel and chocolate covered apples. The recipe is extremely easy to make and is perfect for Halloween which is just around the corner. To view the video click here. With World Mastercard Fashion Week taking place this week in Toronto, there were plenty of events and designer sales taking place around the city. One of these events was the Catwalk 2 Closet sample sale that carried designer brands for half the price. Honestly, I feel like when there is a sale, a tiny meter goes off and it allows me to detect bargain deals. Near or far, I always find my way, but my wallet may be a bit pinched in the end. At the Catwalk 2 Closet sale although there was a lot of clothing I spent a lot of time browsing through the lovely jewelry that vendors were selling. One of the vendors that stood out was Dystynct Boutique, which focuses on carrying vintage pieces. I really like that Dystynct carries unique pieces that you can't find everywhere; hence the name Dystynct. I ended my week by dining at one of my favourite Indian restaurants in Toronto called Indian Palace. The food is delicious, aromatic and spicy. If you are a fan of spicy food, I recommend the Chicken Vindaloo, but be sure not to ask them to make it extra spicy or else you may end up downing a few cups of water as I have done in the past. Let's just say I learned my lesson and will not ask for extra chilli peppers. Overall the food is great and I highly recommend having a visit if your in the mood for some Indian flavours. I hope you had a great week and enjoyed reading the highlights of my week! Don't forget to Follow my blog with Bloglovin!